Some of the best paints on the market now come bundled with pigments. 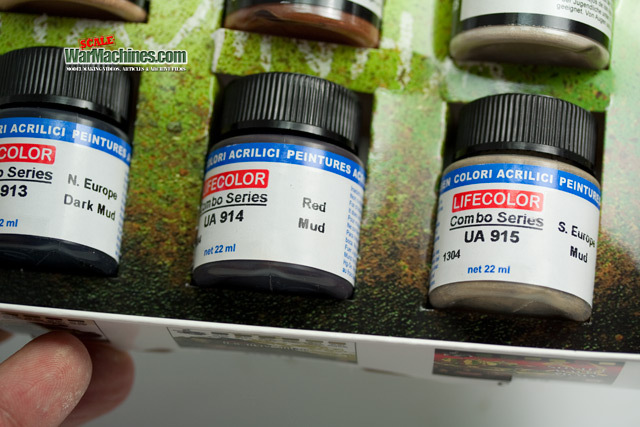 It's a great idea by Lifecolor. 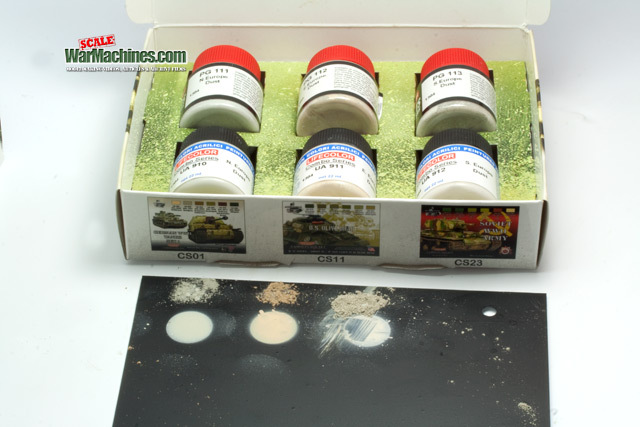 Give the modeller all he or she needs for a convincing weathering finish in one handy pack. 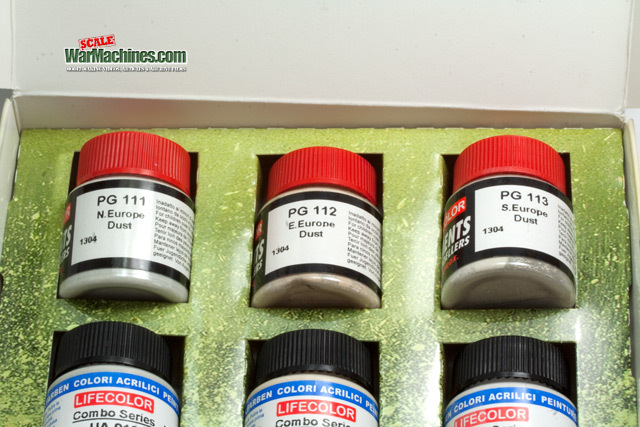 If you are not familiar with the brand, the Italian paint manufacturer offers a great range of water-based acrylics. 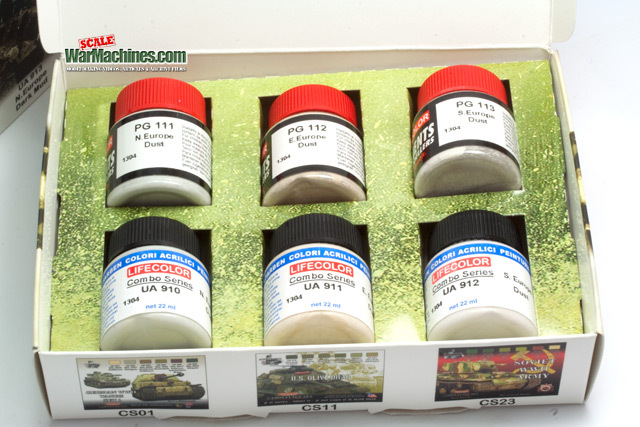 The quality of the paints is superb. They brushpaint well & spray especially impressively - always providing a smooth flat finish. 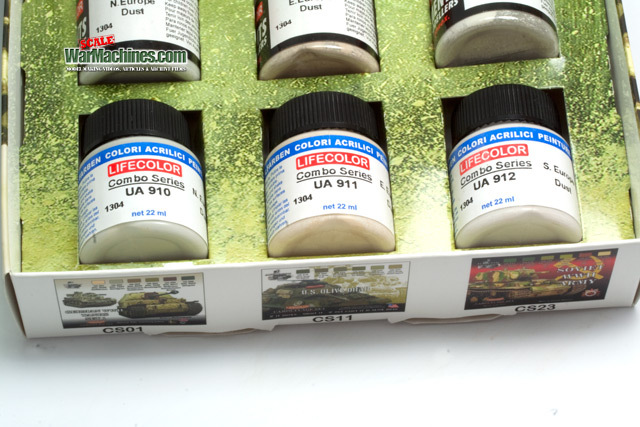 Lifecolor seem to specialise in releasing sets in boxes. It's a clever marketing ploy that works well. 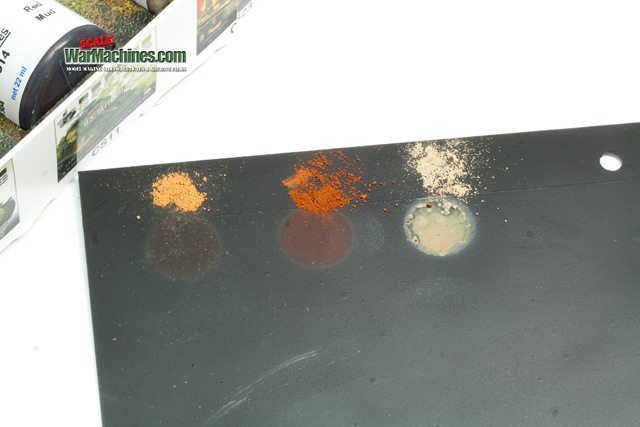 Their combo sets throw in three jars of pigment with three paint pots. 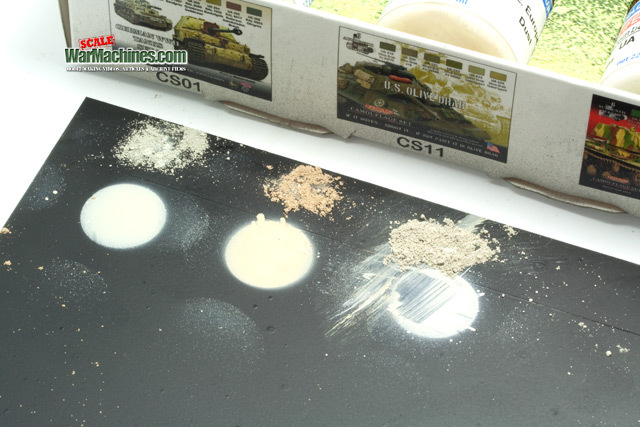 The pigments are just as good as the paint range. 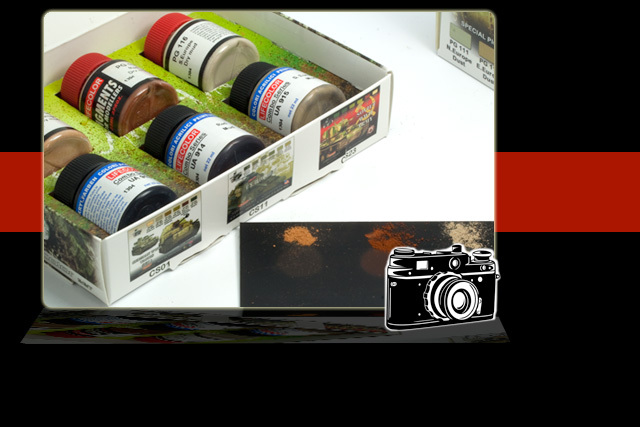 We've used a few shades now & they are fine with deep pigment & are easy to use. 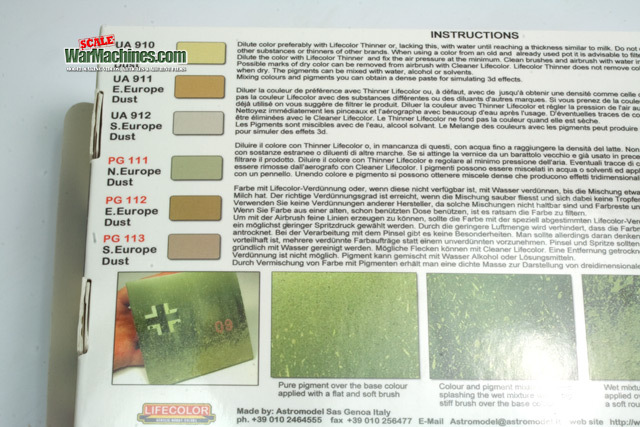 Combo set SPG04 combines three European Dust shades with very similar pigment tones - in fact they have the same names. We think this is a great idea. 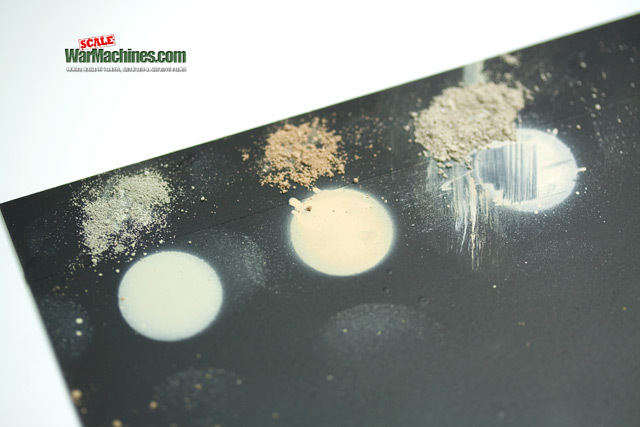 You can apply subtle dust coats with your airbrush & follow up with a coating of pigments in the same palette. The photos show you the colours in the set in more detail than any words. 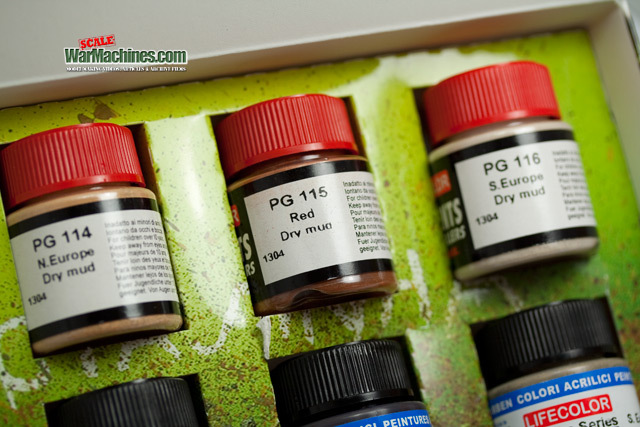 The Mud set - SPG05 - offers equally useful colours that you can imagine will work well splattered with a toothbrush or stippled on your model at low pressure to simulate both wet & dried mud. 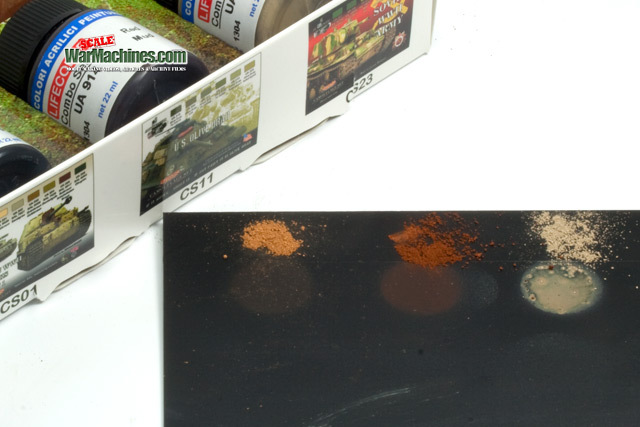 As you'll see from the photos, the pigments differ from the paint tones & we are not sure how they'll behave when wet. 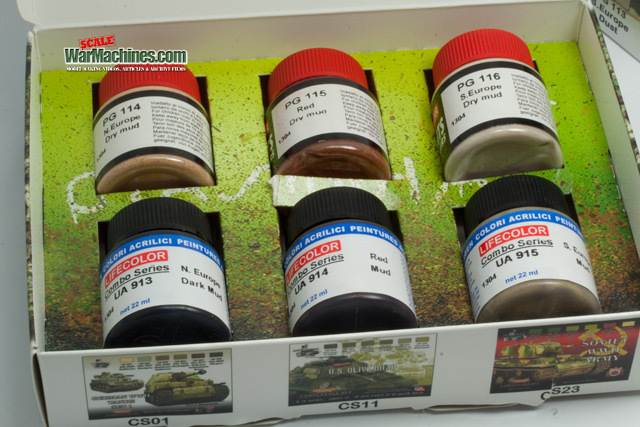 Used dry, they definitely seem to offer a very dry range of caked mud shades. 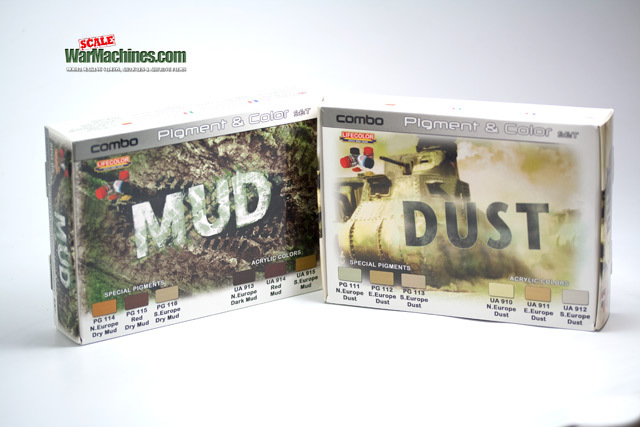 Of course you can mix up all the colours & pigments in any one, or even two sets, to any variety of tones - especially for a wet mud mix tailored to your exacting tastes. 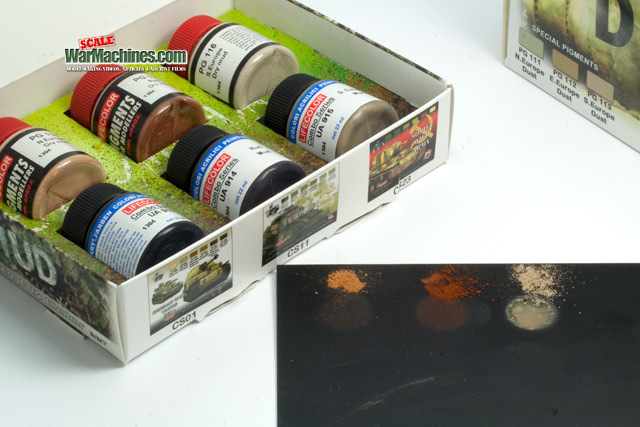 Just drop a few blobs of any of the paints into the mix, a great benefit of these all-in-one packs. So versatile, handy & highly recommended.